There is no better time than now to start getting ready for the 2018 Fantasy Football Season. So why not go ahead and start with these early 2018 quarterback rankings? Who could make their way into the group? Who could make their way out of the group? Who, outside the elite tier, could finish as the overall QB1. A lot can happen from this point until the start of the season, but these guys seem as good as any to remain at the top of the quarterback leader-boards for 2018. Also, check out my Way Too Early Running Back and Wide Receiver Rankings too. Back and healthy, Rodgers will once again be the popular choice for overall QB1 status. Not including his injury plagued 2017 season, Rodgers has finished as a QB1 in all three of his past full seasons, two of which he finished as the overall QB1. Last year’s overall QB1, Wilson will look to carry over his dominance in 2018 behind a likely more improved offensive line. Wentz missed the last three games of the season and still finished as the fifth best QB in Fantasy Football. The Sky is the limit. What is Brady’s outlook for 2018? Will father time finally catch up? Brady will still be impressive, but these question marks prevent him from entering my top-3. A QB1 in every single year since 2004, Brees is a lock for QB1 status. From Week 2 to Week 8, Watson was the number one QB in Fantasy, averaging over 27 Fantasy points per game. When he plays a full season, he is a QB1. What will the status of his health be for 2018? Newton had a bounce back season last year and finished as the number two QB in Fantasy. The addition of first round draft pick wide receiver, D.J. Moore, certainly bolsters Newton’s case. Three straight years as a QB1, Stafford remains in the QB1 discussion in a pass focused Detroit Lions’ offense. Cousins has finished as a QB1 in each of the last three seasons. Problem is, each of those seasons was spent as a member of the Redskins. Will Cousins thrive in a Vikings offense that made Case Keenum a top-15 Fantasy QB, or will he struggle in his first year with a new team? Ryan is only one year removed from being the leagues’ MVP and a top-2 Fantasy QB. Now the highest paid QB in the league, will Ryan have a bounce back year? 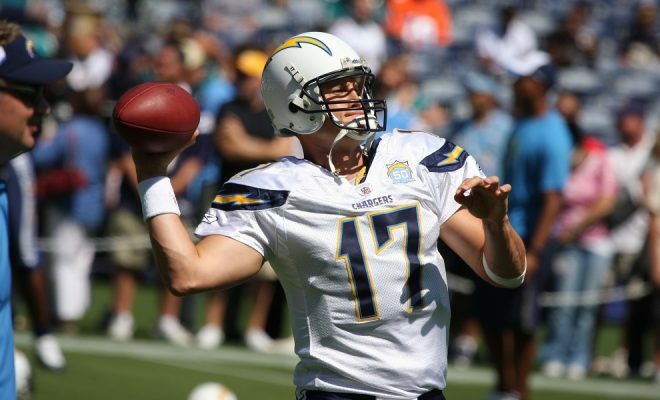 A QB1 in four of the last five years, Rivers should not be overlooked and has reliable QB1 potential. Who knows the extent of Luck’s health issues that caused him to miss the entire 2017 season. First it was “he will miss the preseason and be ready by Week 1”, then it was “just a few more weeks”, and the next thing you know Luck was missing the entire season. This should make future Fantasy drafters hesitant to select Luck. He could potentially miss more time, and if he does come back, there is no telling if he will still be the same quarterback. Buyer Beware. Who could fall out of the group? Watson, as mentioned above, was impressive in the games he played last season. 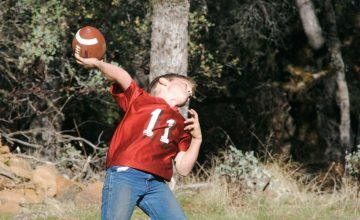 But coming back from a torn ACL is difficult for any player, especially a mobile quarterback in only his second year in which defenses now have tape on him. Watson should be fine, but a sophomore slump could keep him out of QB1 territory. Kirk Cousins has been fantastic for the last three years. Changing teams and learning a new offense his difficult for anyone. It is not completely unforeseeable that Cousins struggles in hist first year with a new team. Who, outside the recognized elites, could finish as the overall QB1? Wentz was averaging nearly 22 Fantasy points per game and was second to only Russell Wilson, before getting hurt in Week 14. Coming back from a torn ACL is tough which has many people knocking Wentz out of elite Fantasy QB territory. A healthy Wentz could easily be the overall QB1. Last season was a statistical anomaly for Brees, as he only threw the ball 536 times for 23 touchdowns. Before that he averaged over 650 attempts and 34 touchdowns in the three years prior. The emergence of the saints running game led by Mark Ingram and Alvin Kamara and improved defensive play certainly played roles in the reduced reliance on the passing game in New Orleans. I expect that the rushing attack will not be as prolific this season and that Brees and the passing attack will trend back towards the norm. In a prolific offense, Brees as just as good a chance as any to be the overall QB1. As I already mentioned, Ryan is only one year removed from being a top-2 Fantasy quarterback. With the addition of first-round draft pick, Calvin Ridley, and another year to learn offensive coordinator, Steve Sarkisian’s, offense, Ryan will have to prove his worth as the highest paid QB in the NFL. 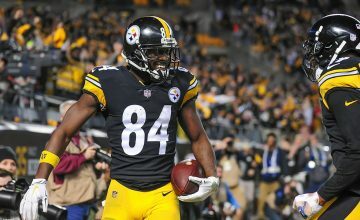 Another push for overall QB1 status isn’t out of the realm of possibilities for a player who will cost essentially nothing on Fantasy draft day. Garoppolo also earned a pretty hefty salary this offseason. Garoppolo averaged nearly 18 Fantasy points in the last four games of the season and we have seen what Kyle Shanahan and his offense can do for quarterbacks, i.e. Matt Ryan in 2016. Garoppolo could find his way into the top-12 come 2018. Mariota did not live up to Fantasy expectations last year in a rather disappointing season for him and his Titans. Still, the threat of his mobility and efficiency in the red zone give him the ability to climb into the top-12. Goff looked like he was going to be another quarterback bust in his first year in 2016. But, in his sophomore year, Goff and the Rams were excellent under head coach Sean McVay. Goff was able to finish as a QB1 in Fantasy last year. With Gurley being able to take pressure off of Goff and the addition of big-play wide receiver, Brandin Cooks, Goff could find his way back into the top-12 for back-to-back years. 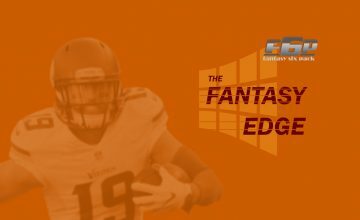 Visit the F6P Fantasy Football section for more off-season and dynasty content.